Sportsmen’s Tennis Coaches: All of our coaches enroll in ongoing professional development that gives them the experience and knowledge to develop as individual coaches and as part of our coaching team. Despite dedicating 30 years of sweat and work on tennis courts, if you google Marton Balla you will find an article about his wedding (and maybe a picture of his pregnant wife) before digging up all of his tennis results. In 2000, while escaping the mandatory Hungarian military service, he landed at Eckerd College in St. Petersburg, Florida. He spent 4 years loving life, studying, and playing tennis on the beach. He was ranked in the top 10 in division II, and was awarded several recognitions from both his college and the conference such as Athlete of the Year. After graduation he was not ready to leave the sunshine, so he began coaching in the Tampa Bay area. While coaching, Marton received mentoring from tour level coaches, while working and traveling around the world with top International Tennis Federation Juniors. During his 3 years at the Saddlebrook Internationa Tennis Academy, trained numerous WTA and ATP players, devoting most of his time to Alex Domijan who became #1 on NCAA. Marton is most proud of his wife Kate and his two children Matteo and Leila, who play tennis at STEC. Harshana held an ATP World Tour ranking of 811 in singles and 846 in doubles as of October 2008. He has been the Men’s National Champion of Sri Lanka in singles and doubles for 6 years. Since 2002 he has represented Sri Lanka in the Davis Cup, holding the highest win-loss record (69-27) by any Sri Lankan in the Davis Cup competition. In 2018 he was awarded the prestigious Davis Cup Commitment award for playing 50 ties for Sri Lanka. 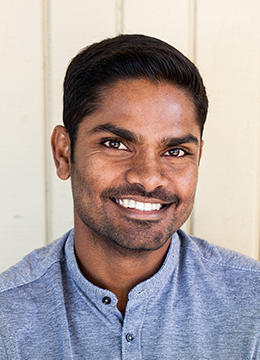 Harshana previously served as the Assistant Varsity Tennis Coach of the University of Massachusetts, Boston, where he earned his BS in International Management. Harshana also holds certifications from PTR (Professional Tennis Registry) for the following: 10& U, 11-17 age group, Performance and Junior Development Specialist (Level 3). 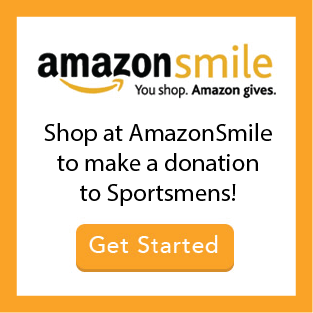 Harshana has been coaching at Sportsmen’s for over 5 years. Please congratulate Harshana on his recent marriage to wife Emily. Originally from Ghana, Robert has represented his country in Davis Cup competition. He holds his certification from the ITF (International Tennis Federation and PTR (Professional Tennis Registry). Robert has lived in the US for over twenty years and has coached at Sportsmen’s for over ten. Robert works primarily with our Tournament Tennis program. Ricardel started playing tennis at age 9, during the summers with Tenacity. After discovering his passion for tennis, Rico began attending Sportsmen’s winter program. 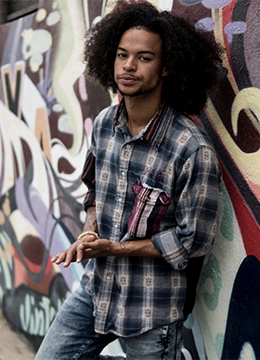 This move elevated Rico’s game from recreational to competitive. Rico began playing in USTA tournaments at Sportsmen’s and continued through his teenage years. Rico attended Nike and other Tennis Camps. Rico graduated from Boston Community Leadership Academy BCLA in 2013. Since BCLA didn’t have a tennis team, Rico played for Boston Latin Academy. After graduating form High School Rico played at Colby- Sawyer College, before transferring to UMass Boston. Rico started coaching at STEC in 2015, spreading his love for tennis throughout the club. Mr. Banks has a long history of coaching tennis at Sportsmen’s. Currently works in our 10-&-Under and Community Tennis programs. 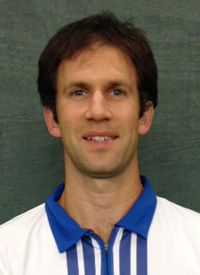 He has extensive experience teaching sports and athletics to children in the Boston area, and is a member of the USPTA. Mr. Banks started working at Sportsmens during the Summer of 1998, starting out with “Little Tennis ” level. (ages 6,7,8). As the number of campers in the Little Tennis program age grew Mr. Banks was asked to lead that program. Over time, he worked with older players on Saturdays. When Sportsmens got involved in sending tennis coaches out to the Boston Public Schools he became heavily involved with Match Play. 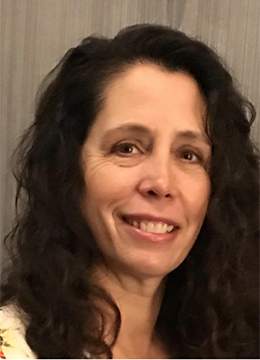 Andy is a former journalist, lawyer, government official and longtime youth development leader who, since 2012, has been the USTA New England Tournament Director for STEC. Andy began his relationship with Sportsmen’s in 1996, when then Executive Director, Les Smith agreed to support BLAST, a new high school tennis training program that Andy initiated with parents of Boston Latin School students. 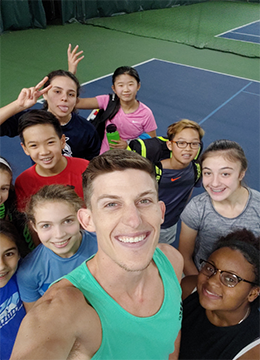 Over the years, BLAST provided off-season training for hundreds of Boston-area students who aspired to play high school tennis. 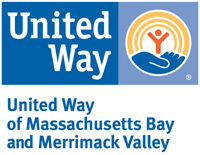 Andy has been a volunteer for USTA New England in many capacities, including: Chairperson of the Diversity and Inclusion Committee, the Grievance Committee, the Eastern Mass Committee, and member of the USTA New England Board of Directors. Andy served as Program Director, then Summer Program Director, for Tenacity from 1999 to 2010, and has coached high school tennis at Latin Academy since 2009. Developing tennis players is a passion for Coach Crichlow. He believes that through this sport, one can instill the virtues that are necessary for a fruitful life. The impact he has on each student athlete is unique and rewarding. Coach Crichlow prides himself on pushing his players to be their best, helping them navigate through life in a positive way. Troy strives to develop true relationships with players, as he cares about them on and off the court. Troy earned a top 100 national USTA ranking as a USTA New England junior player. Troy has been coaching since 2003. 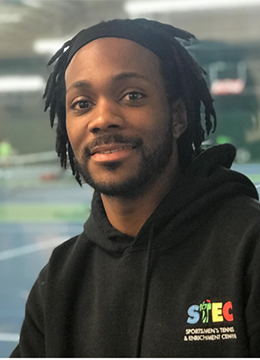 Troy serves on the USTA New England Eastern Mass Board as well as the Eastern Mass grants sub-committee, USTA diversity and inclusion board, USTA national selection committee (current chair), ATA NETA board, and is a past member of the South Shore Initiative board of directors. Hajji has been coaching and teaching at the Sportsmen’s for 18 years. He has been the Director of Tennis at the Charlestown Community Center for the past 9 years. Hajji coaches part–time in the weekend programs while also teaching private lessons at Sportsmen’s. He played collegiate tennis for the University of Massachusetts, Boston and is the proud father of Hajji Jr. and Ella, who actively participate in Sportsmen’s Tennis programs. Hajji is USPTA and USPTR certified. Marcel, a native of Charlotte, NC, started playing tennis at age 15. In his hometown, he played at the Tennis Advancement Program (TAP) with top level coaches and juniors players. 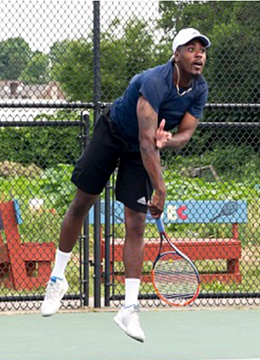 Following three years of high school tennis and two conference championships, Marcel earned both academic and athletic scholarships at Saint Augustine’s University in Raleigh, NC, where he played the #1 position for three years. After graduating with a B.S. in Human Performance & Wellness, Marcel returned to coach T.A.P. beginners to nationally ranked juniors. 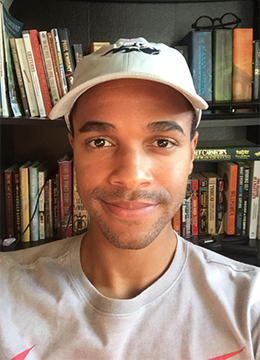 In 2013 Marcel joined the Peace Corps where he served for 2 years in Burkina Faso as a Health Agent. Currently he is a (NSCA) Certified Strength and Conditioning Coach training with a range of tennis professionals, collegiate, nationally ranked and junior players, specializing in athletic development, power, strength, balance, flexibility and agility. Marcel is also a Certified PTR Performance and a Level 3 Junior or Development Coach. (PTR)Performance Tennis Registry, Certified Performance Coach (CSCS) Certified Strength and Conditioning Specialist, First Aid-CPR/AED, Return Peace Corp Volunteer Burkina Faso. 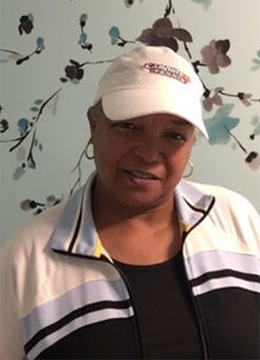 Monica is the Community Tennis Coordinator, responsible for Volley Against Violence (VAV)and Community Tennis ((CT). Monica is originally from New York City and speaks Spanish fluently. She has coached Braintree High School Boys Tennis for several years, and has led them to a continuous improving record annually. Monica plays USTA Women’s and Mixed Doubles, and had the opportunity to play at the USTA Nationals in 2017 with Mixed Doubles, finishing in third place. Monica coaches VAV, Community Tennis, Match Point Programs, After School Programs, Summer Camp and Private lessons at Sportsmen’s. Coach Monica graduated from Clarkson University with a Bachelors in Civil and Environmental Engineering and a earned an MBA. Monica worked as an Engineer. Monica lives in Hingham, with her husband and three children. Monica is Professional Tennis Registry Certified and also has certification in First Aid and CPR. Other than playing tennis, Monica loves to get dirty in her vegetable garden and grows and cans fruits and vegetables for her family for the winters. Mark-Anthony grew up in Dorchester and has been a member of the Sportsmen’s community for nearly twenty years. With the help of many coaches he has developed his skills on the court. Tennis has taken Mark around the country competing at some of the most prestigious tennis programs and academies. While attending Whittier College, Mark-Anthony helped the Poets to reach their best conference finish of all time. Recently he has been certified in High Performance, Adult and Ten & Under from the Professional Tennis Registry (PTR). The knowledge he has acquired through diligent work on and off court over the past twenty years is what makes him one of our valued team members. Mark-Anthony’s enthusiasm and love for the game is always evident when on court with juniors and adults, his commitment to their success is unwavering. Coach Dan brings an infectious energy to the game of tennis. Whether teaching Toddler Tennis or an adult clinic he is committed to making the experience enjoyable and productive. A Florida native, Daniel first started teaching tennis at Sportsmen’s in 2009 as a part of our Match Point Program. Since then, Dan has been a part of every tennis program Sportsmen’s has to offer. Dan is certified in 10 and Under tennis, level 3 junior development, and adult tennis through The Professional Tennis Registry (PTR). While working in Barcelona Spain as an events promoter, Dan became fluent in Spanish. Eddy started playing tennis at the age of 15 after reading the comic book, The Prince of Tennis. The sport quickly became a huge part of his life as he began reading/watching anything and everything he could to teach himself how to play. He was completely obsessed. Eddie quickly caught up and began beating his peers, spending inordinate amounts of time on the court (sometimes as long as 12 hours!). Eddy believes that constantly pushing yourself out of your comfort zone and maintaining a high intensity level at all times, is key to progressing quickly in tennis. Eddy strives to create those habits in all of his students. Movement is extremely important in being a good tennis player. Developing a strong athlete in general, is just as high of a priority as developing great technique. Eddy still works hard to become the best tennis player he can be and brings the same focus and energy to his lessons and clinics. Outside of tennis Eddy loves to read, play guitar, and cycle. Eddy’s passion for his hobbies tends to be on the extreme side, so at one point he pursued each of those interests with the same unrestrained intensity as with tennis. Eddy balances his intensity by relaxing, listening to music or meditating. Eddy has been coaching for about 8 years and is PTR certified. up her tennis game in the South End of Boston, Ma. As a Pro, she is experienced in teaching all levels and ages at Sportsmen’s. Coach Mary ran the after school program at Devotion Elementary School in Brookline, MA for 10 years. Currently, she is the head Tennis Professional at Beaver Country Day School in Chestnut Hill, MA. 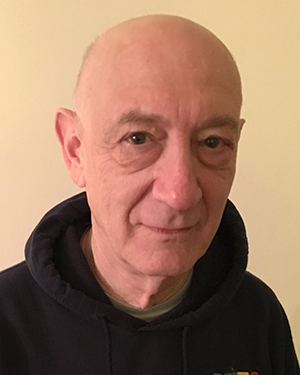 Joe Taylor began playing tennis at Sportsmen’s Tennis and Enrichment Center and around the Boston Area several decades ago. Coach Taylor learned how to play tennis on the streets of Boston as young adult around as a young adult. Joe has taught at all levels of tennis ranging from Red, Orange and Green, adults, clinics, USTA and CMITA leagues.